On June 9, high school students in upstate NY transformed their gym into Titan Memorial Hospital. That day, instead of backpacks, they donned doctors' scrubs to perform surgery on their selected pathology, from knee replacement to coronary heart disease, on paper mâché bodies they built themselves. Students had networked with professionals to learn, watched surgery videos, and spoke with patients to deeply understand the disease they were addressing. Students discovered they had a strong voice in their learning and began to exercise it. Teachers were willing to be vulnerable and learn alongside their students. A fundamentally new culture of Teaching & Learning was taking shape across Greece Central School District. How did this all begin? Teacher Leaders & Principals from across the district came together to tackle what students had self-identified as "apathy" toward their studies. 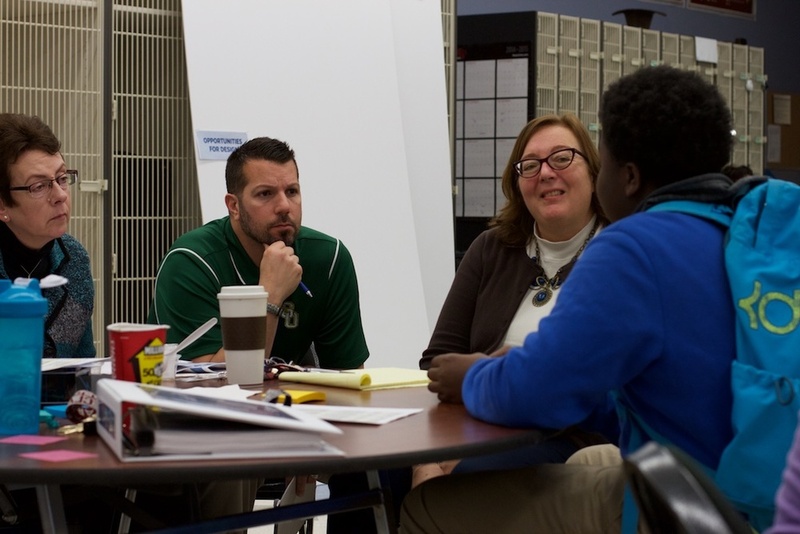 These educators rolled up their sleeves to discover, build, and test ways to spark students to take leadership over their own learning process. Educators listen deeply to both struggling and high-achieving students. Educators define starting questions to help spark ideas. …provide the teacher with real-time feedback on where students are “getting it” or where to go deeper? …help students adapt the physical environment to fit the task at hand? …elevate students to positions of power in the classroom and beyond? Educators used rough materials to bring their ideas to life in a form that students could experience first-hand. Four months later, the Teacher Leaders and students from this workshop built upon the Magic School Bus idea to design and launched Surgery Day! The Living Environment teacher observed not a rise in test scores and stronger performance, but also students embracing the subject matter more. But, more importantly, student began taking agency to shape their own learning. A new level of trust and relationship had been built between students and teachers. And a fundamentally new culture of Teaching & Learning was emerging.